Peel Ports welcomed Maritime Minister Nusrat Ghani MP to its flagship container terminal Liverpool2 on Wednesday as the terminal prepares to welcome its largest regular caller to date when 2M (Maersk and MSC alliance) introduces a new transatlantic container service to the port. Minister Ghani said, “It was fantastic to see first-hand the workings of this thriving port and to meet the highly-skilled and dedicated staff who drive its success. 2M is switching its TA2 service from Felixstowe to Liverpool on a temporary basis. At the same time, Maersk Line’s South American service, Colombia Express, will also start calling at the port of Liverpool, exporting U.K. goods to Newark. Liverpool will be the final port of call for both weekly services as they head westbound across the Atlantic. The ships will load U.K. export cargo such as Scotch whisky, food products and trade machinery. The new services will also see the Port of Liverpool open up direct links with the U.S. ports of Charleston and Savannah. The TA2 and Colombia Express routes will use a range of vessels up to 8,500 TEU. The larger vessels will call at Liverpool2 with smaller vessels using Royal Seaforth Container Terminal. 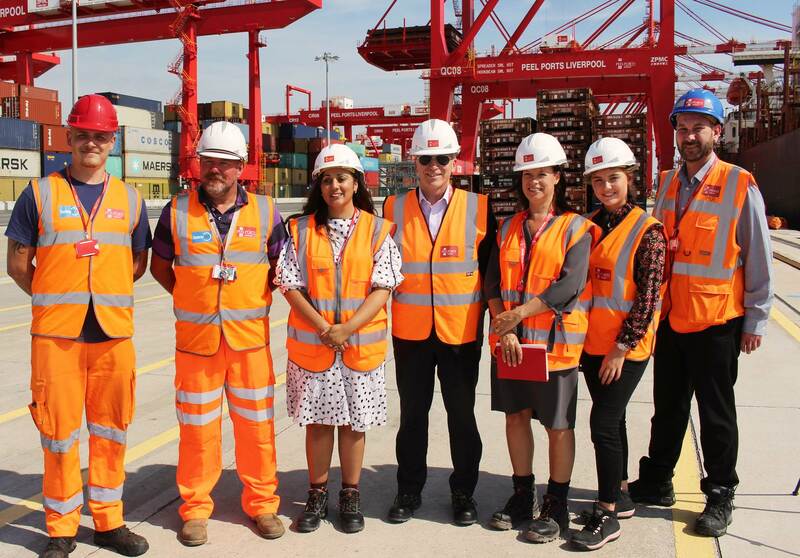 Earlier this year Peel Ports introduced a rail freight service connecting the Port of Liverpool to Scotland, in partnership with DB Cargo. It is now the only major U.K. container terminal to offer tri-modal connectivity, with road, rail and water, the Manchester Ship Canal, plus short-sea shipping offering connections to Scotland and Ireland.